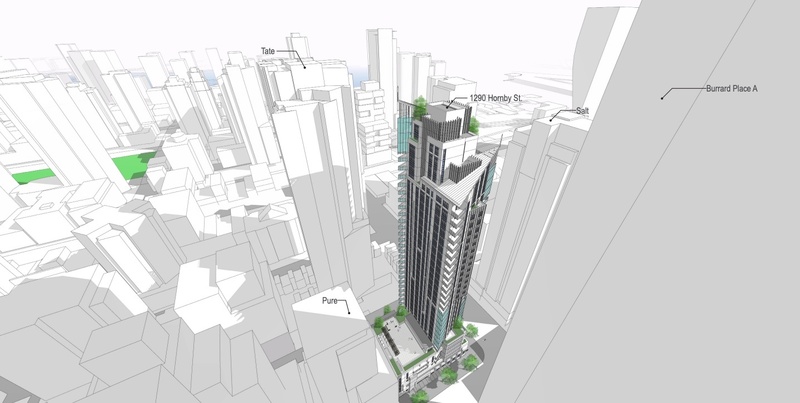 The northeast corner of the intersection of Hornby Street and Drake Street in downtown Vancouver could be transformed into a new 348-ft-tall, 35-storey tower development. 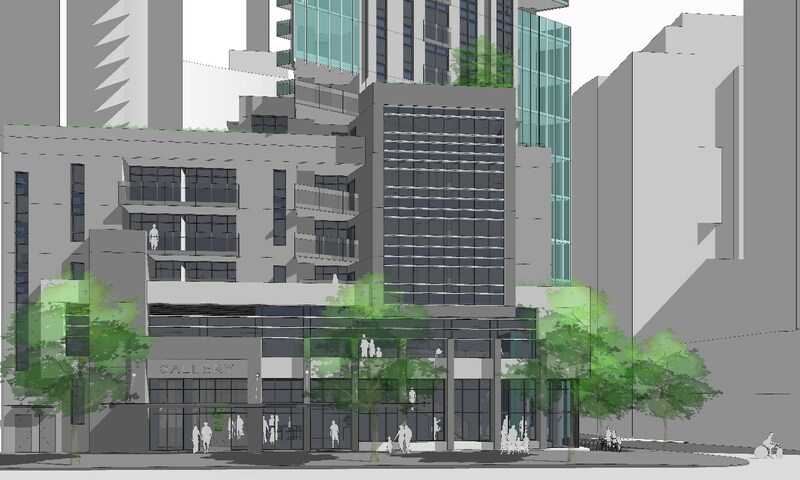 A rezoning application was recently submitted to redevelop the site at 1290 Hornby Street, which is a 15,000-sq-ft lot currently occupied by a 1980-built, three-storey office building that houses Vancouver Coastal Health’s recently opened Urgent Primary Care Centre. 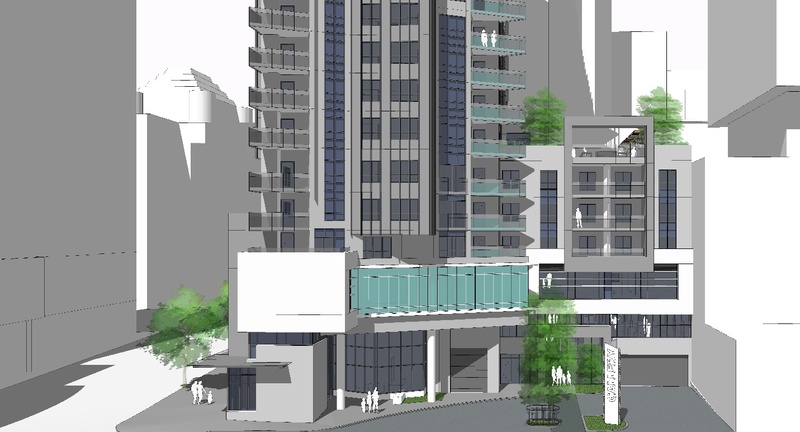 It is just across from the 53-storey tower of Burrard Place, which is currently under construction. 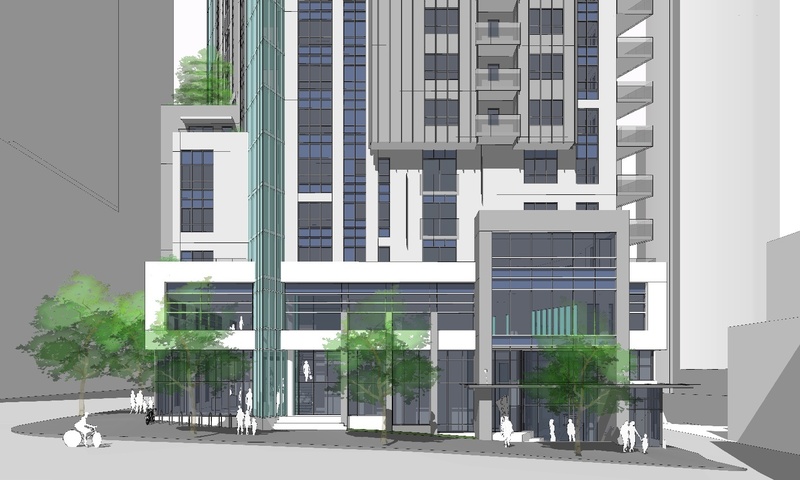 The proposal designed by Merrick Architecture calls for 159 market ownership homes, with the unit mix set at 100 one-bedroom units, 43 two-bedroom units, and 16 three-bedroom units. Within the tower’s five-storey podium, 10,500 sq. 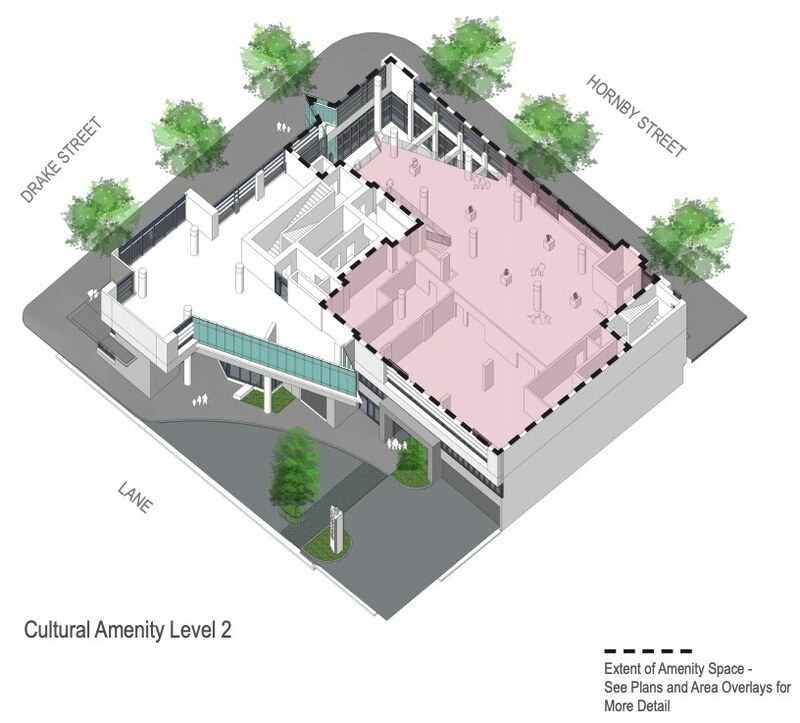 ft. of space over two levels has been set aside for a cultural amenity space in the form of a public art gallery owned by the City of Vancouver. It is anticipated the gallery at the corner site will animate the intersection. 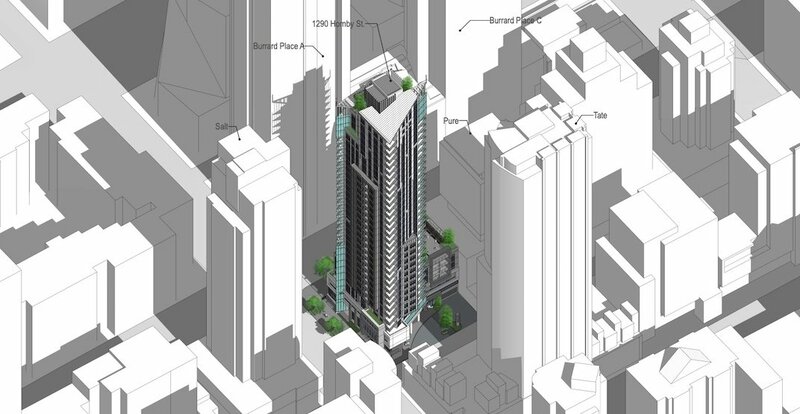 “Given the close proximity to other buildings, it was understood at the outset of the project that any redevelopment in tower form would have to be tall, elegant and slender, and demonstrate a character that would make it ‘stand out in a crowd’. 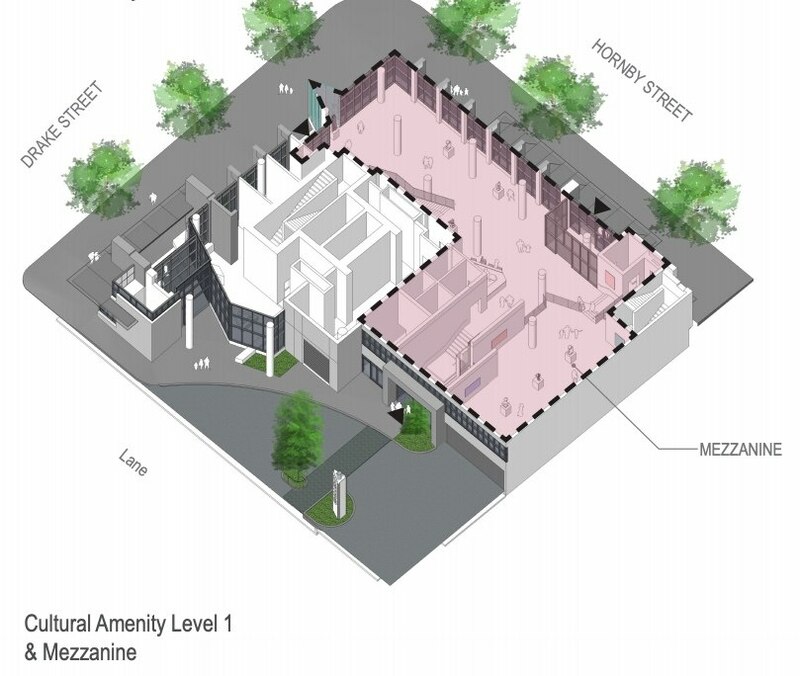 The project was seen as an opportunity to demonstrate that redevelopment of small sites is not only feasible, but can enhance the built environment through unique and original architecture,” reads the architect’s design rationale. There will be 105 vehicle parking stalls within six underground levels. 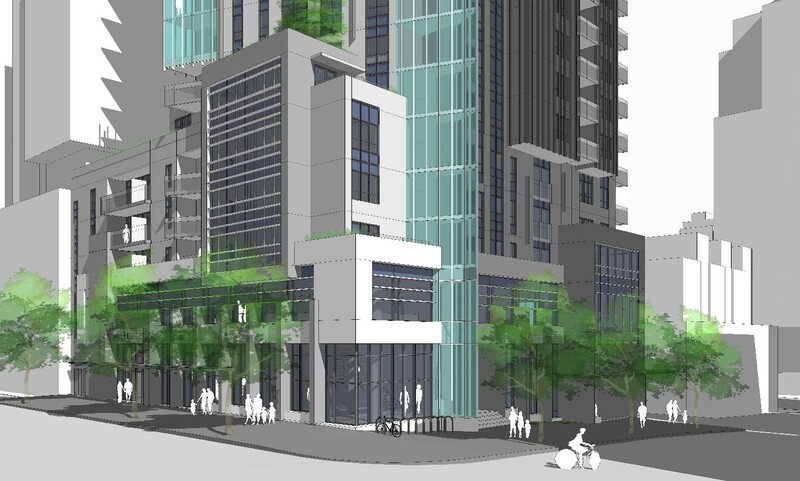 Overall, the proposal calls for a total floor area of 174,000 sq. 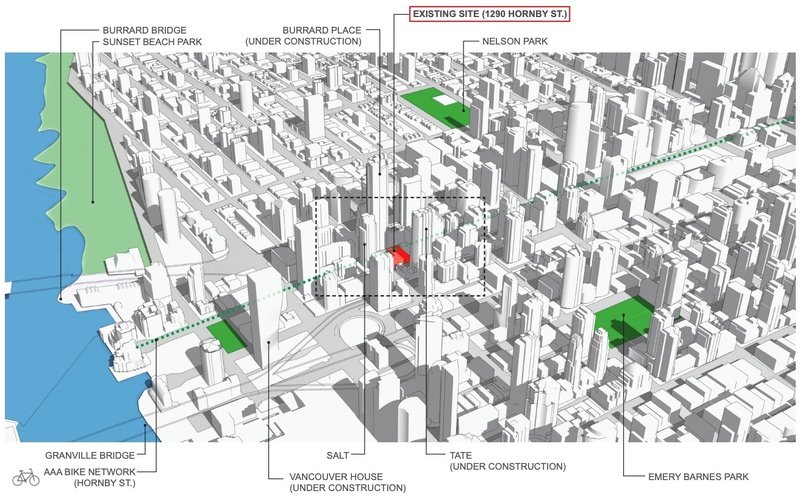 ft., giving the project a floor space ratio density of 10.3 times the size of its lot. The project is being considered under the municipal government’s Potential Benefit Capacity Policy.